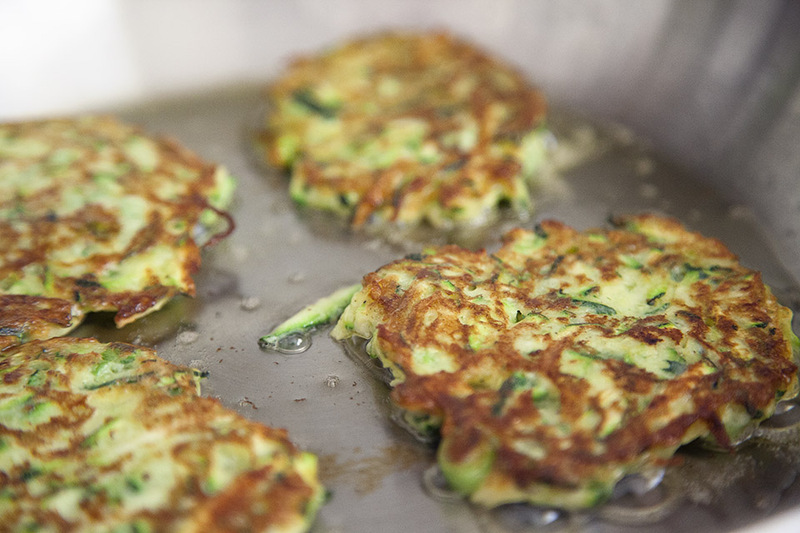 My love for zucchini pancakes is endless. I love them so much that I can start chopping, shredding, mixing and frying them at 11 o' clock in the evening. 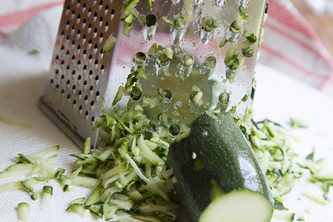 Trim the ends off zucchini and grate them using either a box grater or a shredding attachment of the food processor. 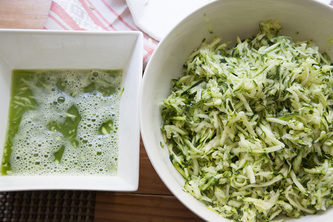 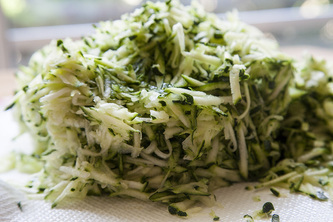 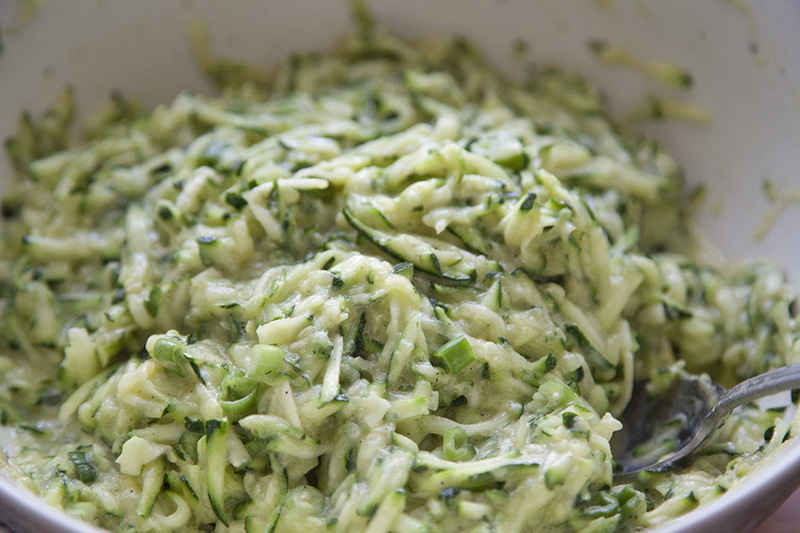 Transfer the shredded zucchini to a large bowl and combine with salt. 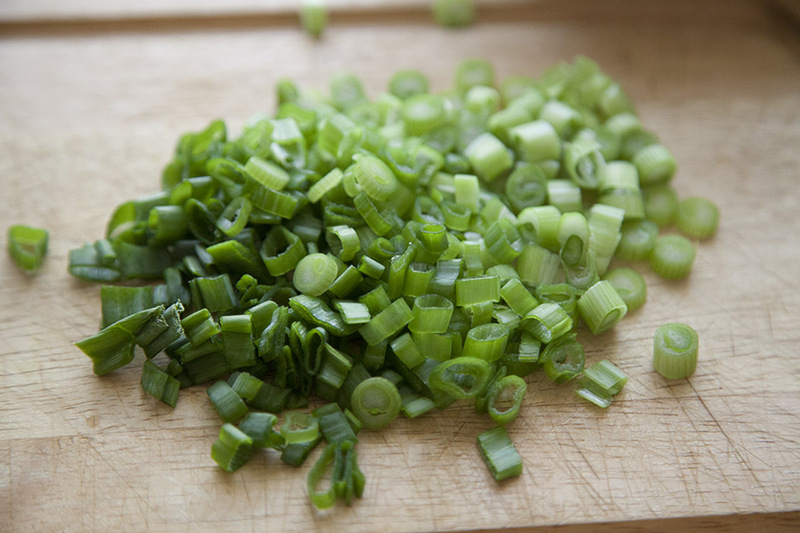 Let it sit for 15 minutes. Squeeze as much liquid out of zucchini as possible in a mesh sieve or with your hands (see picture below). 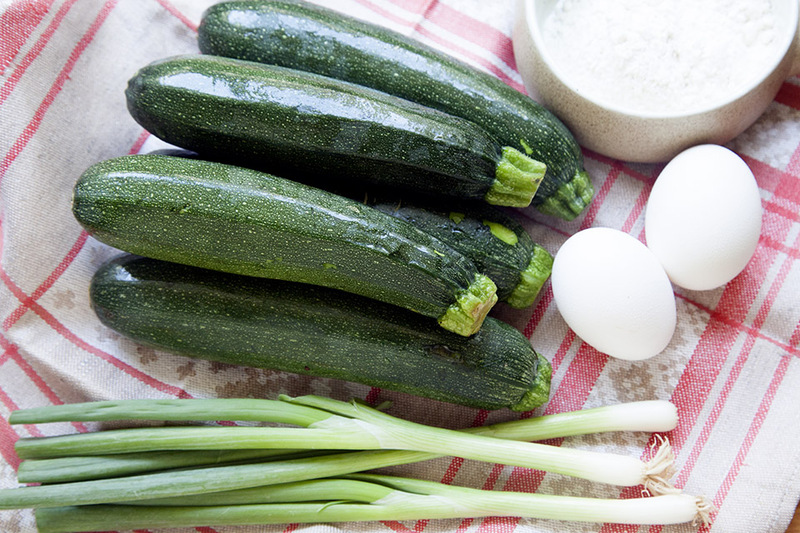 Return the squeezed out zucchini back to the bowl and add chop green onions, eggs, flour, baking powder, and pepper. 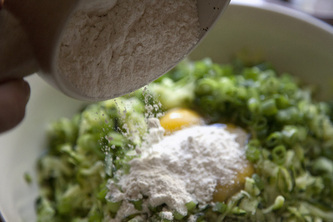 If the pancake mixture looks too watery, add more flour. Put 2 tbsp. of oil in a large skillet over medium-high heat. When the oil is hot, carefully drop large spoonful of pancake mixture into the pan allowing about 1 1/2 inches of room between the next pancake. 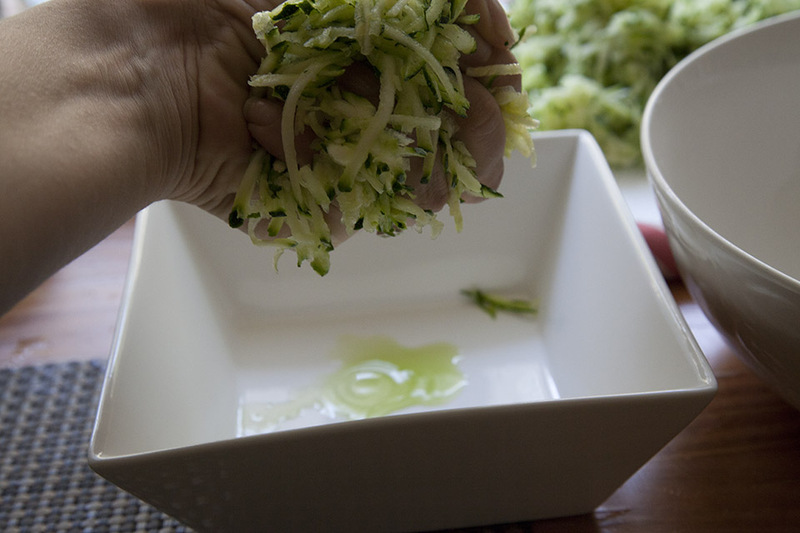 Spread them out with a spoon to flatten them a little. 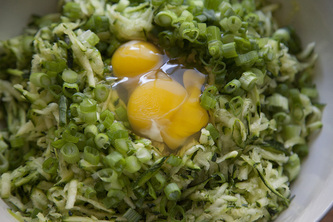 Reduce to heat between medium and medium-low and cook until the pancakes are browned on the bottom, 3-4 minutes. 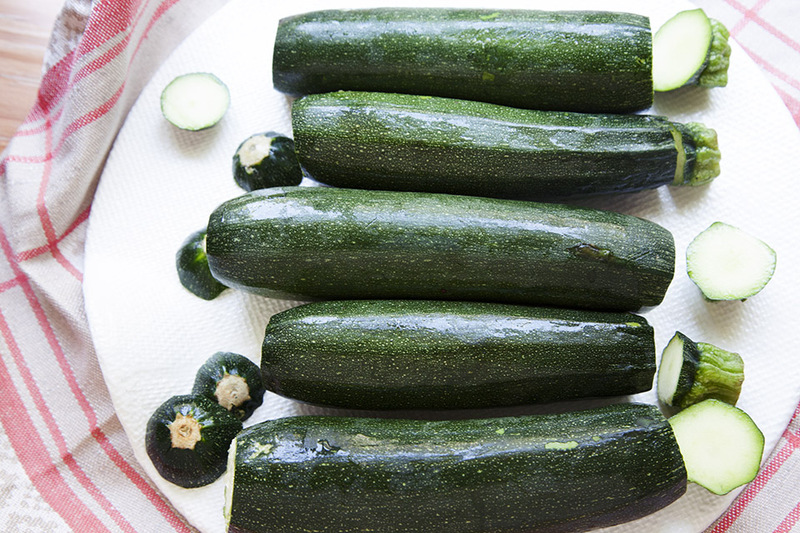 Turn them over and cook for another 4-5 minutes. 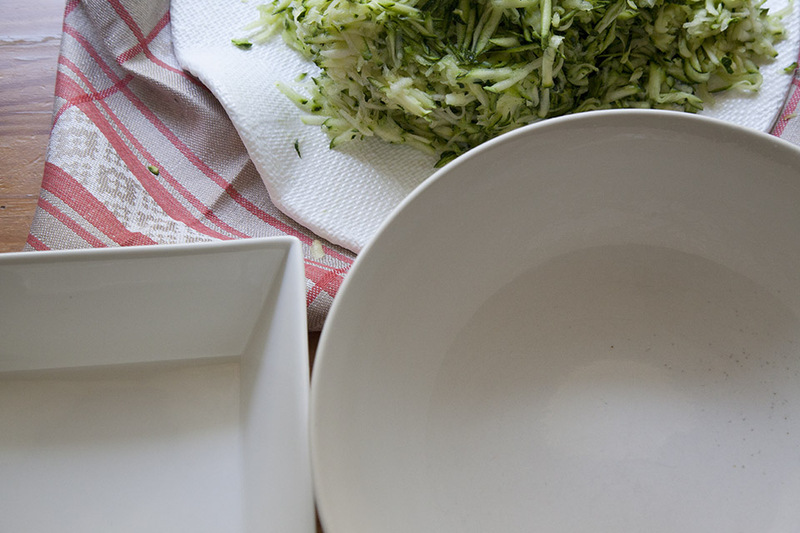 Transfer the pancakes to paper towels to drain. 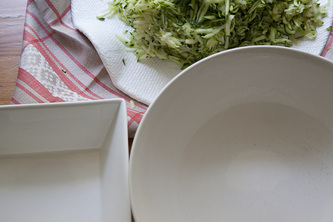 Add 1 tbsp. 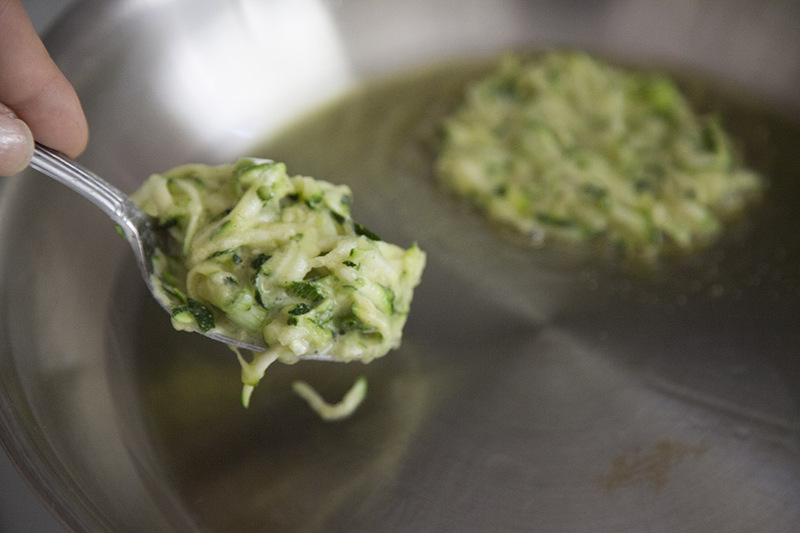 oil to the skillet and repeat the process. 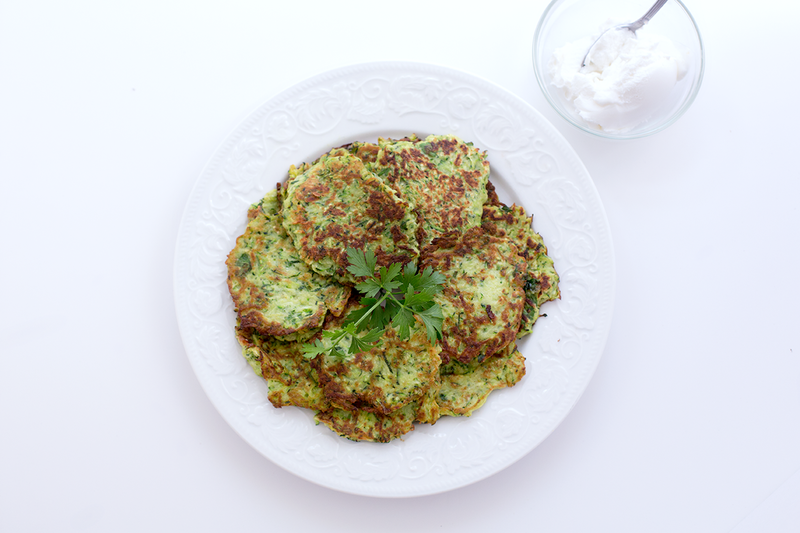 Serve pancakes with chopped green onion and some sour cream or plain yogurt on the side.